We can always mark special events and milestones with words, but why not give those words a little more weight? Engrave a natural river stone with names, dates and images to share a sentiment and help others remember. Memorial Stones - Memorialize people, places and times in a way that can be displayed just about anywhere. 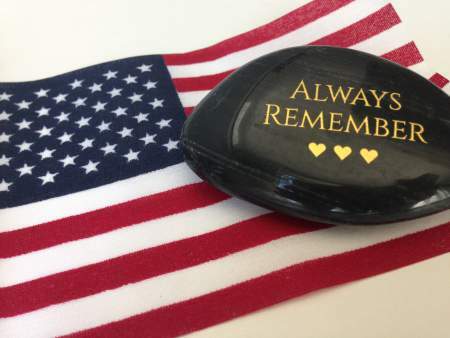 With a name or image of a building (such as a church or school that's opening or closing), engraved stones are a simple yet meaningful memorial. Coming of Age - Celebrate a bar/bat mitzvah or quinceañera when you engrave cultural symbols, names or dates into stone. As the young person grows, this will be a wonderful reminder of the journey to adulthood. Funerals and Celebrations of Life - Stone has always figured into symbolizing loss and remembering loved ones. Create a memorial that can always be carried close, even long after a friend or family member has passed. Milestone Birthdays or Occasions - Help someone celebrate another decade of life with a large stone featuring a favorite poem. Or, speak to aging with a bit of humor when you engrave a funny line from a comic or cultural icon. Many customers like to buy stones and list one word, event or date per stone that describes a birthday, person or important event in their life. Family and Class Reunions - Keep the connections strong when you send everyone home with an identical remembrance of your time together. Names and dates are ideal, or engrave a family coat of arms or the school's logo into our river stones. 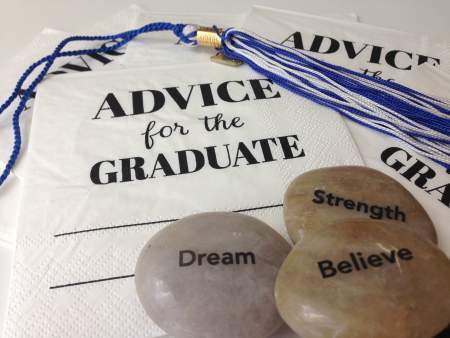 Graduations and Ceremonies - Mark the end of one era and the beginning of another with something rock solid. Ideas for engraving include the institution's motto or a few words from an important book or figure that is meaningful to the students. Weddings - Brighten up a table centerpiece or create a unique guest favor with lovely polished stones. Simple words like “Love” and “Faith” do very nicely. In fact, stones with the word “Love” written on them will keep the focus on the most important part of the event! New Babies- Hospitals and midwives can help new parents remember the birth of their child with simple engraved stones. Give them something that represents love and nurturing--it might even become a family heirloom. Joining a Religious Community - Welcome new members into the fold with engraved stones featuring the name of your church, synagogue or a meaningful symbol of your faith. It will last longer than a flower or candle, and be a nice piece to display in the home. Faith stones are available in a range of sizes and colors. New Job - Congratulate someone on a new position or welcome someone to your company with a large paperweight stone. Attractive and practical, these stones will mark the beginning of a new professional chapter, and can even serve as courage stones for anyone who’s a bit nervous about that first day. Significant Travels - Do you run a tour group or a travel agency? Travelers like to have things that represent all the places they’ve been, and what better than beautiful engraved stones? Great for outdoor adventure companies or travel agents who want to use them for unique advertising. Retirement - This is a huge step in someone’s life, and deserves recognition. Whether it’s from the family or from the former employer, an engraved stone is a great way to say congratulations and job well done. “You Rock” Stones - Let someone know that you think their accomplishment is great when you tell them they rock, and in those exact words. “You Rock” stones come in natural colors and are as unique as the recipients. Purchase of a Home - Engraved stones can make wonderful cornerstones that you display in your home or garden. Realtors can keep them on hand with the year engraved, and give them as gifts at closings. Recipients will appreciate a gift that recognizes the significance they're feeling. Happy and somber occasions alike are perfect times for engraved river stones.